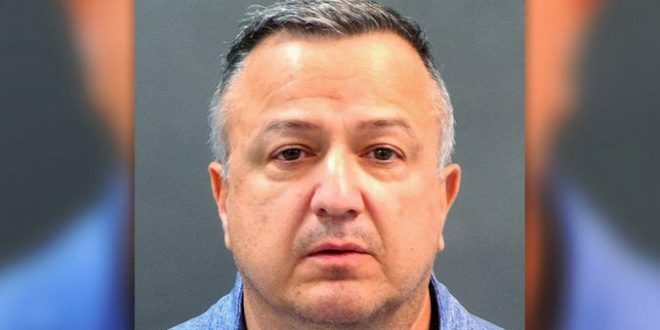 ST. LOUIS: Felony Charge For Man Who Drove Into Protesters At Vigil For Trans Woman Killed By Police - Joe.My.God. A man who drove his car into a group of protesters in St. Louis on Wednesday night has been charged with a felony. Mark Colao, 59, was charged Thursday with a felony count of resisting arrest by fleeing and two misdemeanor charges of leaving the scene of an accident and operating a vehicle in a careless and imprudent manner. Police say Colao, of the 2900 block of St. Vincent Avenue, drove his car through protesters who were blocking Manchester Avenue and Sarah Street in the Grove neighborhood Wednesday night. After Colao pushed his car through the protesters, he gave the middle finger to a police officer who pulled alongside his car, and “accelerated aggressively” as he left the scene, according to charging documents. The protesters were marching in the street Wednesday after a nearby vigil to honor Kenny “Kiwi” Herring, who was fatally shot by St. Louis police officers a day earlier after police say Herring stabbed a man and attacked an officer with a knife. After the encounter between the protesters and the car, protesters hit the car and chased it as the man drove off.